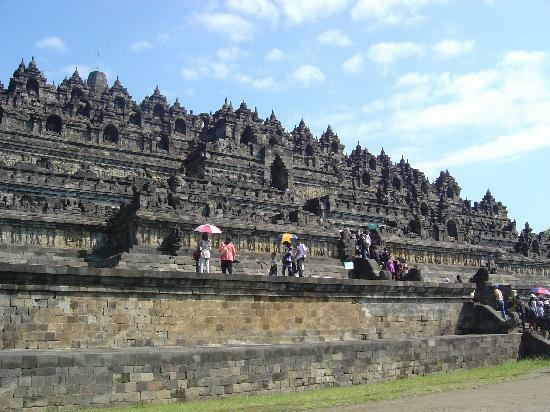 Borobudur is a 9th-century Mahayana Buddhist monument in Magelang, Central Java, Indonesia. The monument comprises six square platforms topped by three circular platforms, and is decorated with 2,672 relief panels and 504 Buddha statues. A main dome, located at the center of the top platform, is surrounded by 72 Buddha statues seated inside perforated stupa. 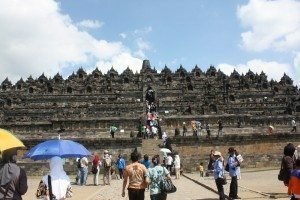 n Indonesian, ancient temples are known as candi; thus “Borobudur Temple” is locally known as Candi Borobudur. 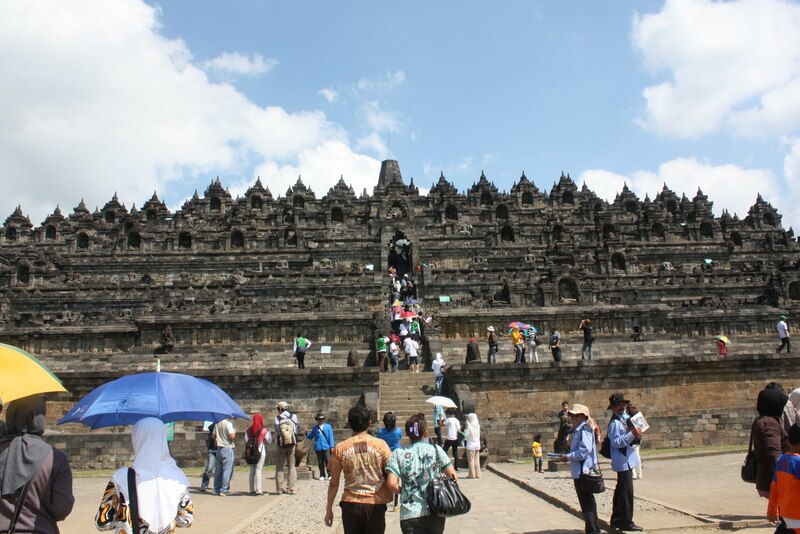 The term candi is also used more loosely to describe any ancient structure, for example gates and bathing structures. The origins of the name Borobudur however are unclear, although the original names of most ancient Indonesian temples are no longer known. 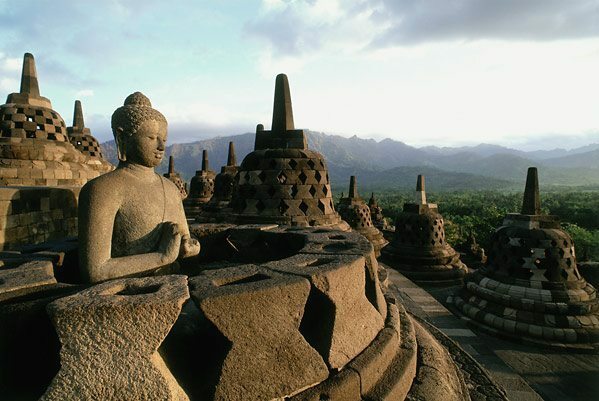 The name Borobudur was first written in Sir Thomas Raffles’ book on Javan history. Raffles wrote about a monument called borobudur, but there are no older documents suggesting the same name. 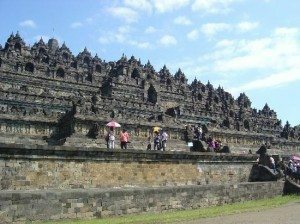 The only old Javanese manuscript that hints at the monument as a holy Buddhist sanctuary is Nagarakretagama, written by Mpu Prapanca in 1365.